Before embarking upon a journey in the world of cinema, Sushant Singh Rajput had already tasted stardom on television. The actor was a part of two fiction shows namely, ‘Kis Desh Mein Hai Meraa Dil’ and ‘Pavitra Rishta’ – the latter had catapulted him to instant fame. Interestingly, both these shows were produced by Ekta Kapoor’s Balaji Telefilms. 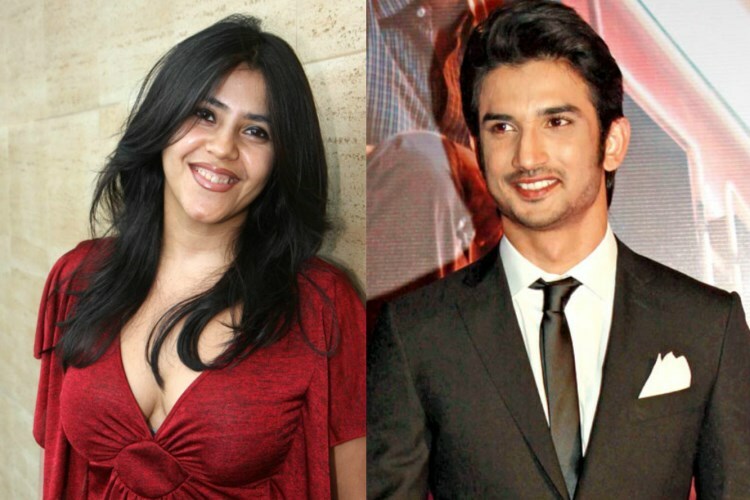 Though Ekta was not responsible for giving Sushant a break into the movies, there were a couple of instances when the two of them joined hands for a project but things never really took off. Here are the three films they almost came together for. Fitoor: After ‘Kai Po Che’, Sushant and director Abhishek Kapoor were all set to reunite for another film, the script of which was adapted from a book. While ‘Kai Po Che’ was based on Chetan Bhagat’s ‘3 Mistakes Of My Life’, ‘Fitoor’ derived its basic plot from Charles Dickens’ classic novel ‘Great Expectations’. Ekta had come on board as producer for cousin Abhishek’s film but they parted ways because of creative differences. Later, UTV decided to bankroll the project but the film kept getting delayed and Sushant could no longer wait for it to take off. Eventually, he, too, opted out of the project. Half Girlfriend: Sushant was signed to play the role of Madhav Jha, a young man from Bihar who comes to study in Delhi University and falls in love with a South Delhi girl who becomes his ‘half girlfriend.’ Sushant had to opt out of the film as the schedule of the film was affecting the dates he had committed for ‘Raabta’. Sushant was promptly replaced by Arjun Kapoor. Though ‘Half Girlfriend’ proved to be no great shakes at the box-office, it still fared better than ‘Raabta’ which was a disaster. Kedarnath: The film was led by an army of producers when it was announced initially. Ekta Kapoor’s Balaji Motion Pictures, Prernaa Arora and Arjun N Kapoor’s KriArj Entertainment, Bhushan Kumar’s T-Series and Abhishek’s own Guy In The Sky Pictures had put their might behind the film. A legal tussle between KriArj Entetainment and Abhishek brought the shoot to a halt and after the issue was resolved, the director made up his mind to stick to one producer. Ronnie Screwvala saw a few rushes of what had been shot of the film and agreed to produce the film. The film, which had a fairly bumpy journey, finally hits the theatres this Friday.